Make the most of your visit to Madrid and take this tour filled with art and culture. Get to know one of the most memorable Royal Castles of Europe, the Royal Palace of Madrid, which used to be the official residence of the Spanish Royal Family. Nowadays, it’s used exclusively for receptions, ceremonies and official events. The Royal Palace is also called Palacio de Oriente, due to its close proximity to “Plaza de Oriente” square, which is on the east (Oriental) side of the palace. 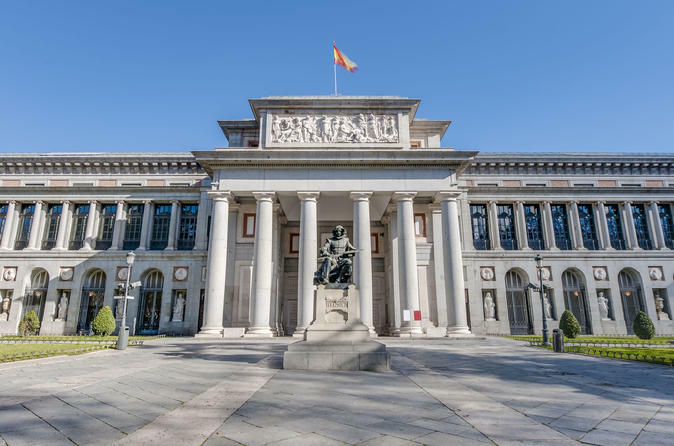 Then, scheduled on a different day, you will have the chance of visiting the Spanish National Art Museum. At Prado, you will learn about the museum’s history as you walk around admiring its artwork. Do not miss the oportunity of make this combo with two of the most important monuments in Madrid.